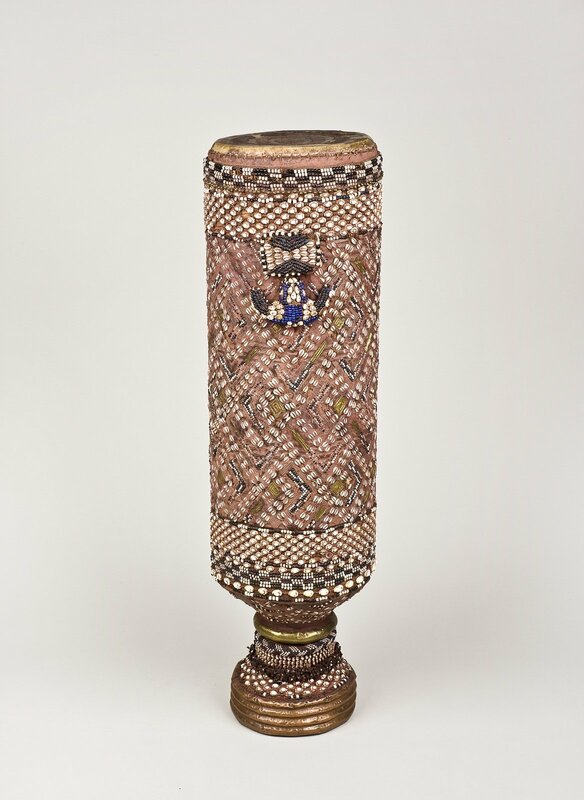 Throughout their history musical instruments have combined their role of sound-producing tools with symbolic and decorative functions, both social and religious. 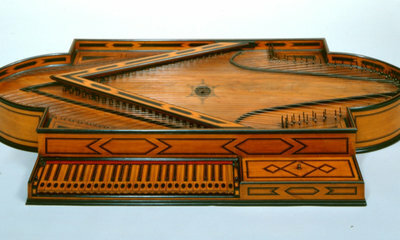 Precious materials, elaborate shapes and decorations have been used in all cultures at different times to confer special nobility on to individual instruments, to make them attractive to collectors or travellers, or sometimes to demonstrate the outstanding skills of the maker while not necessarily serving any specific musical purpose. 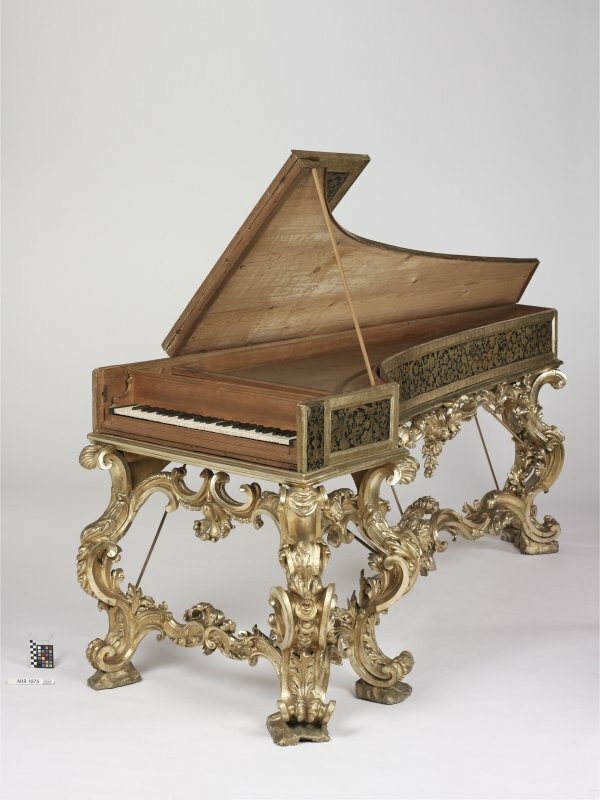 The use of ivory and elaborate adornments on instruments in Asia and Africa, for example, has been confirmed since at least the late 15th century. 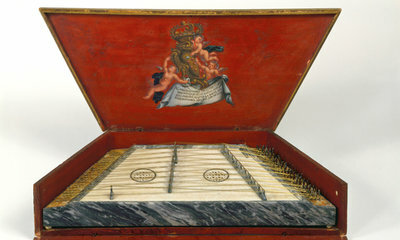 Around the same time, the spread of the first collections of musical instruments in Italy gave a fresh impetus to experimentation with materials and elaborate decorations, as well as unusual shapes and designs that made some instruments unique: organs with spirally-arranged pipes and wind instruments in the shape of animals and monsters. Moreover, the use of precious stones and materials such as ivory, ebony, silver and gold, combined with carvings and paintings, created instruments that became seen as works of art in their own right. 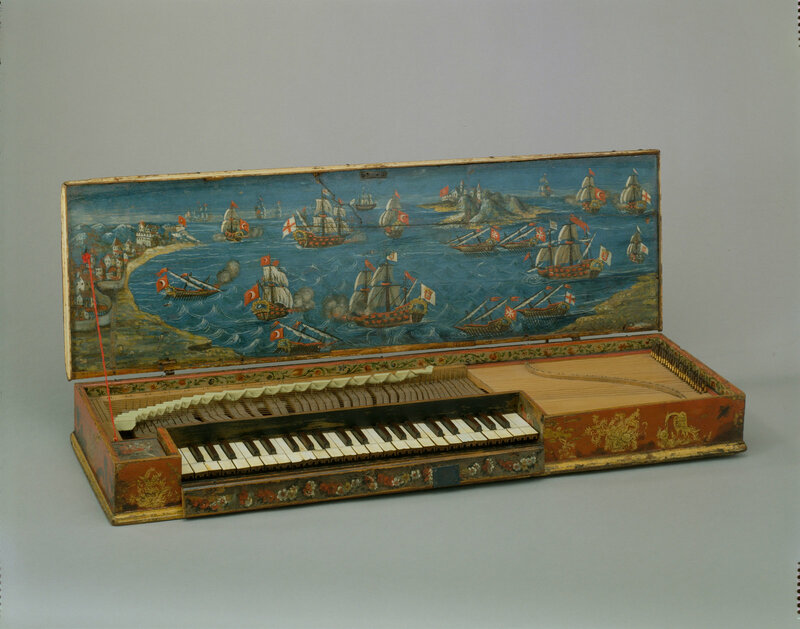 Painted instruments became common in the European tradition during the late 16th century, but in the countries of the Far East they are documented much earlier. Due to the different shapes and material of instruments, paintings appear with different degrees of importance and detail: from simple geometric decorations, to symbolic colours and shapes that can connect the instrument to a specific nation or tribe, to a social context, or to a specific owner, sometimes through elaborately decorated coats of arms. 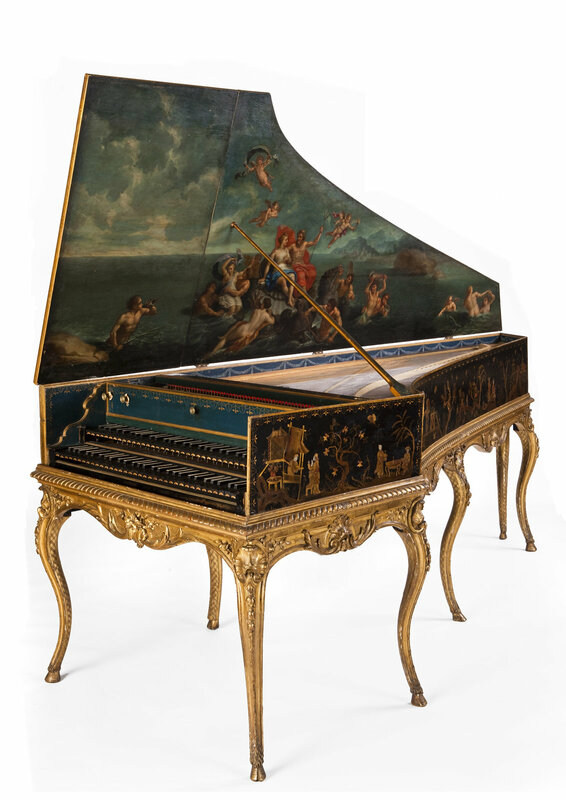 From the 17th century, however, a new tradition arose, specifically in the production of European keyboard instruments, whose lids – large and flat- offered an ideal base for elaborate oil paintings. Scenes based on landscapes, architecture, flowers or musical scenes - sometimes mythological subjects related to music such as the myth of Orpheus taming animals with the sound of his lyre – began to appear on these instruments, not only by anonymous painters, but also celebrated and well known artists. 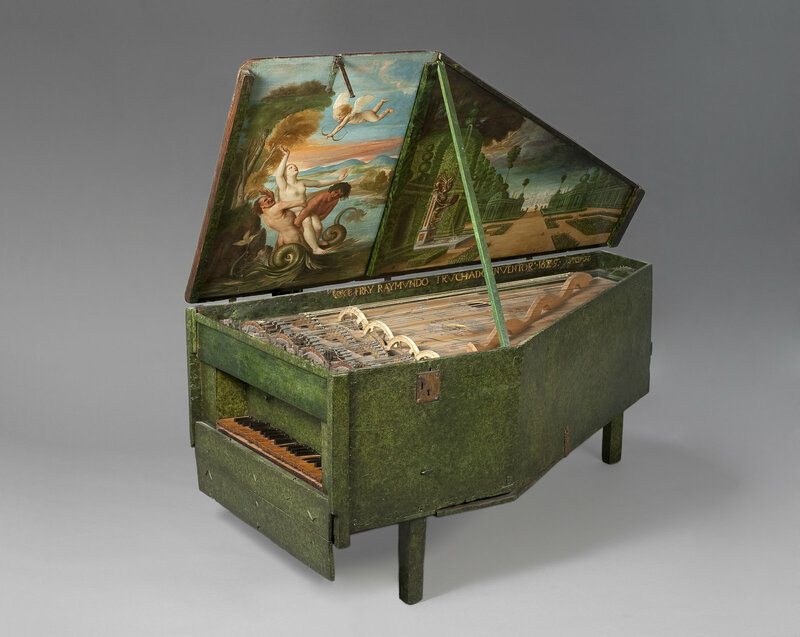 The interest and quality of these paintings became such that sometimes only the lid survived, while the rest of the instrument was destroyed through time. The relationship between musical instruments, players and nature is a recurring theme in mythologies all around the world, and is often represented by instruments entirely or partly sculpted in anthropomorphic (human) or zoomorphic (animal) shapes. While these elements retain a strong symbolic meaning for some cultures, others retain them primarily for decorative purposes. 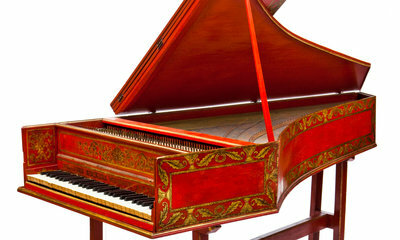 Most commonly the latter occurs in European instruments made between the 14th and the 17th century. 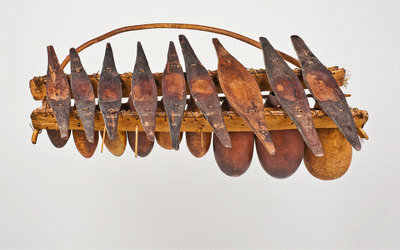 This connection also survives in the names that are given to the different parts of the instruments: in string instruments, strings are attached to the “head”, that is connected to the “body” – i.e. 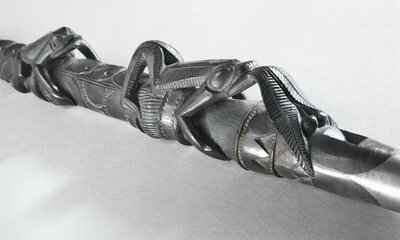 the sound box – through the “neck”; in the flute the “head” is the part into which the player blows, the air flows through the “body” and exits through the “foot”, and in drums the skin is also called “head”, and it is stretched over the “body”: there names are often reflected by sculpted decorations representing the same parts. 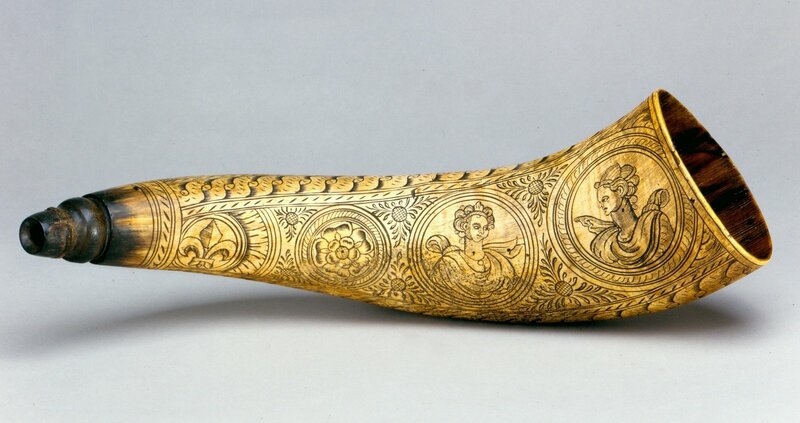 In addition, sculpted and carved elements were also added to musical instruments (both in European and elsewhere) for purely decorative purposes, usually on parts that have no impact on sound production such as stands and the outer side of wind instruments. The choice of materials for the construction of musical instruments was traditionally established on the basis of considerations of sound quality, durability and easy availability in the area of production. Exceptions to these rules, however, appeared as soon as instruments became interesting as objects in themselves and not just as sound-producing tools. 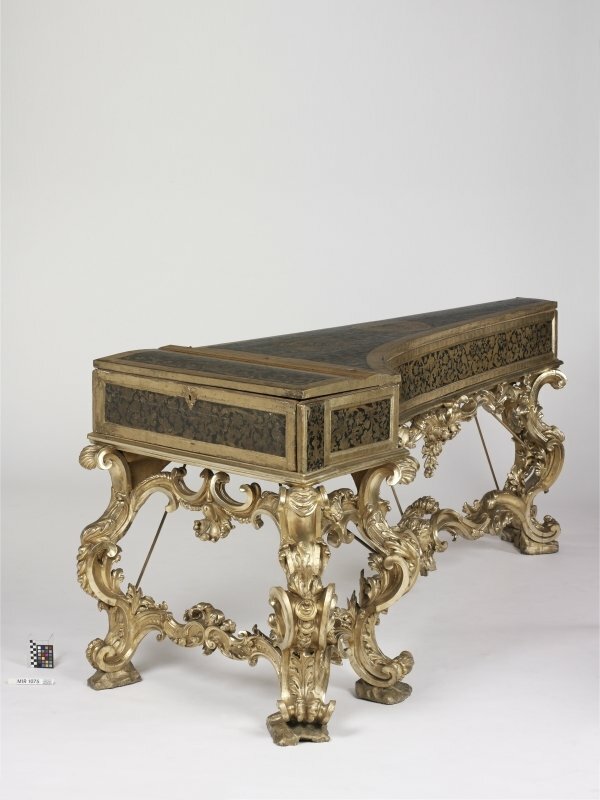 In this case precious materials such as ivory, tortoiseshell, hard stones and noble metals such as silver and gold appeared either for elaborate inlays and decorations applied on the instruments, or entirely substituting the traditional materials in some of its components. 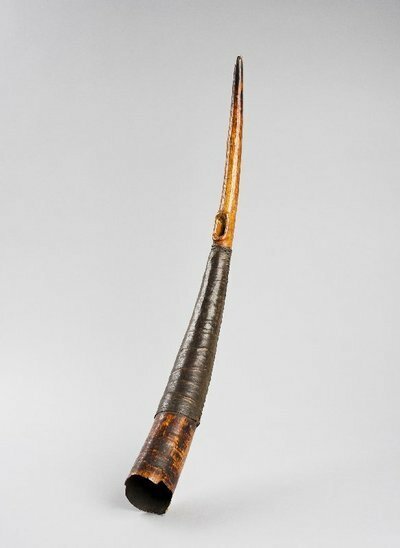 While ivory tusks were used for the production of oliphants (a type of hunting horn) as early as the Middle Ages, the same material began to be used in the 16th century for the production of lutes, guitars and “woodwind” instruments such as recorders, flutes and cornetts. Around the same time, tropical woods also appeared in the construction of lutes and later in that of keyboard instruments and woodwinds. 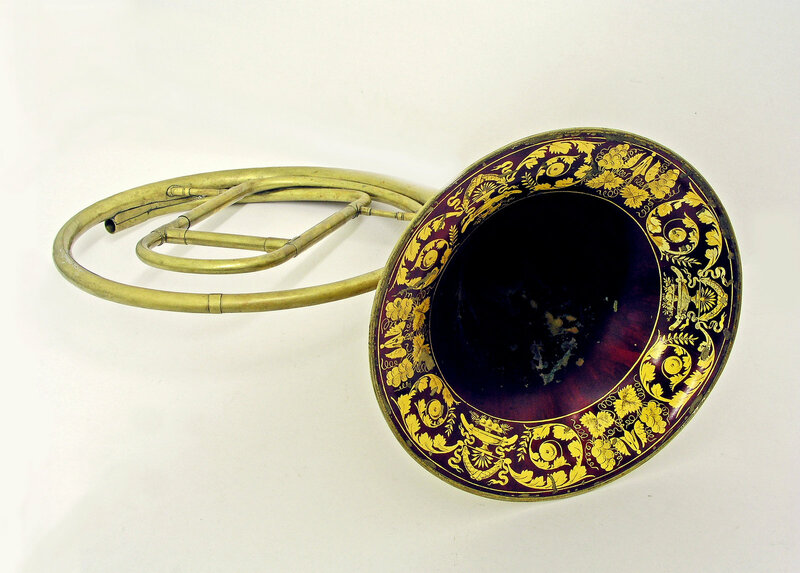 Trumpets in silver and gold are also known to have been made in Nürnberg as early as the 16th century. 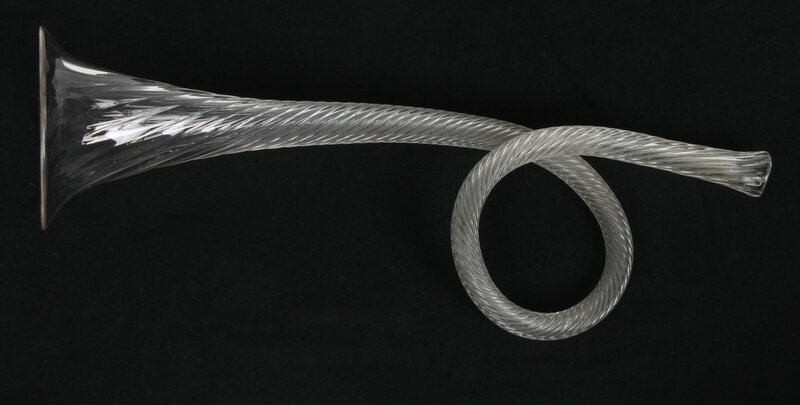 The choice of precious materials only improved the sound of the instrument in a few cases (a rare exception from the 20th century seems to be the use of platinum in the construction of flutes); usually the sound is hardly affected by these variations and sometimes the sounding capacity of the instrument were heavily impaired by the choice – as, for example, in the case of instruments entirely made out of marble – highlighting their role of decorative objects over that of musical ones.